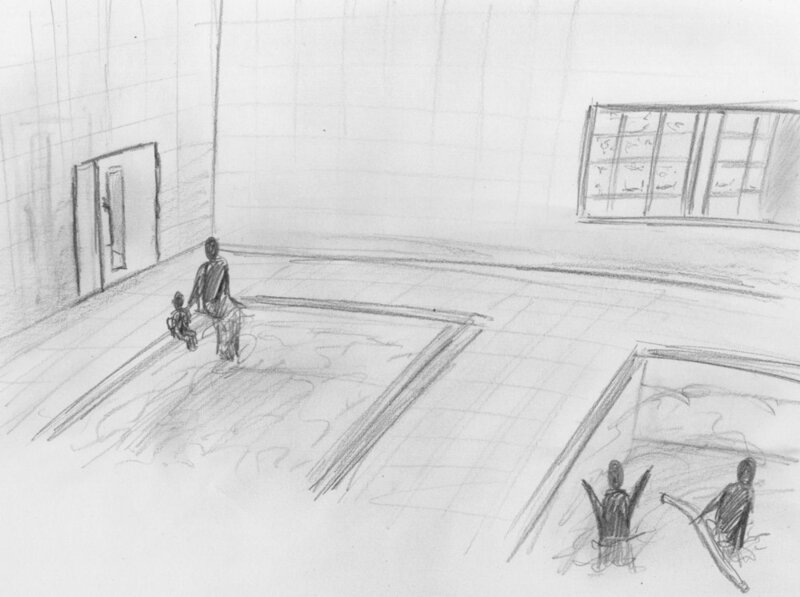 These pencil sketches are meant to give an impression of what it would be like to be inside and use the Aquatics Centre. I wanted to explore how the laminated timber structure with wood cladding and glazing would impact the feeling of walking around the building. 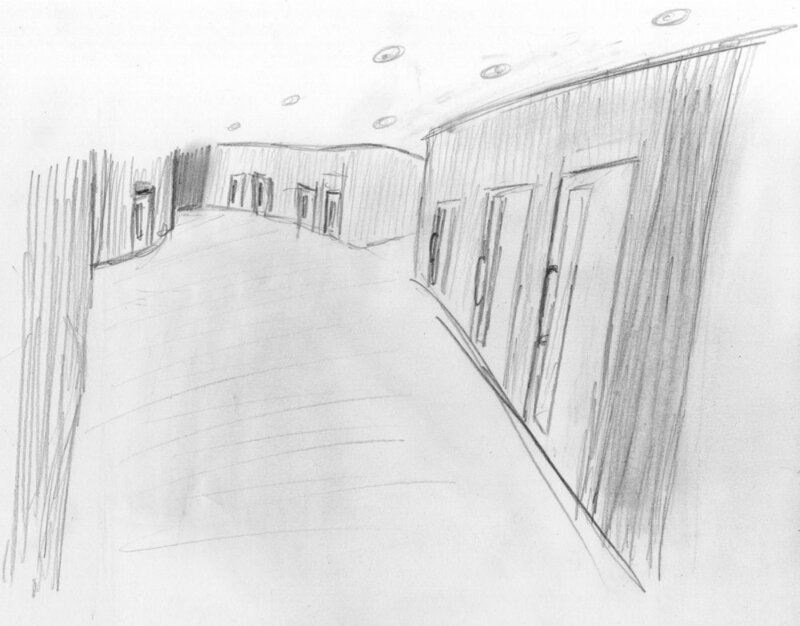 This included the large atrium, other ancillary spaces and the views out over the rest of the landscape. Entrance from under the Light Rail. Reception and entrance to the swimming changing rooms. 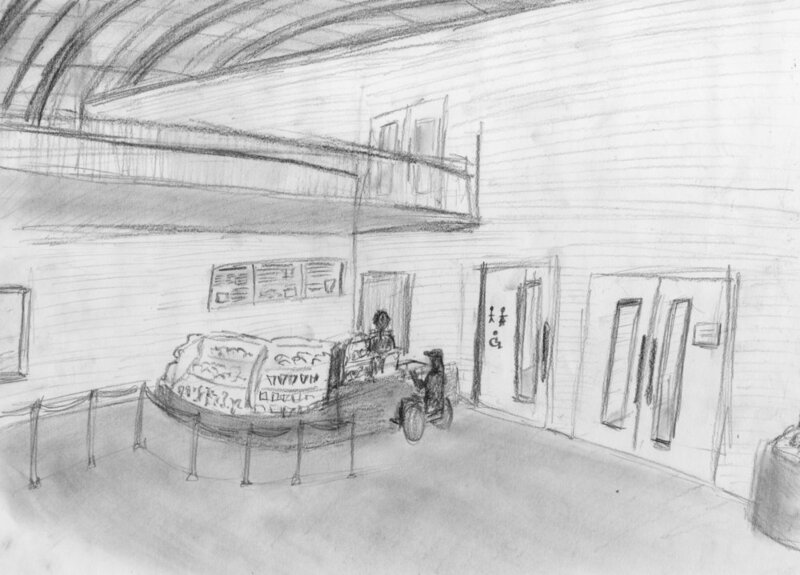 Café under the balcony, and the entrance to the more private therapy area. View from the balcony, down to the atrium and out to the landscape. An individual therapy room, with a door to the outside.